The Unitex Difference | High-Quality Textiles | Unitex International, Inc.
At Unitex we’ve been creating amazing things for some of the most desirable brands for almost three decades. Based in Georgia with distribution centers strategically located in California, Georgia, Illinois and Texas—we’re one the largest textile companies on the planet. We focus our experience in essential categories including the Industrial, Healthcare, Hospitality and Automotive industries. Our unique ability to create specialized products has helped us become a trusted partner to an enviable roster of satisfied clients. Combining a keen sense of marketing insight with in-house sourcing and manufacturing allows us to truly understand what your consumer expects. We deliver a world class experience and superior product each and every time. Let’s create the perfect blend for you. We inspire imagination. From exploring fresh ideas to designing innovative new products—we ideate, plan and execute solutions to meet your specific requirements. 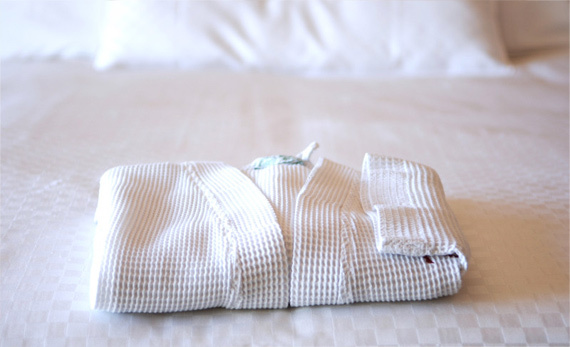 Whether it’s custom spa linens for your resort guests or creating a new collection of luxurious pillows and throws for the retail market, our design and manufacturing expertise extends far and wide. We provide a broad range of support services to help derive maximum value from working with the specialty division team. Our technical and marketing experts can advise on the latest trends and developments in textile and microfiber manufacturing. Our worldwide experience in fibers and fabrics is at your disposal. We work directly with you to incorporate new features and technologies that create distinction and drive consumer appeal of your brand or product. Not all textiles are created equal. Product design, quality and selection are key attributes that have made Unitex the leading textile manufacturer. We approach every aspect and detail of product design with a passion. We regard each component—from the finest stitch on a bath towel to the custom weave on a beach tote bag if it were the most important. Our designers, engineers and customer service team make the real magic happen. The emotional appeal of a well designed product and its ability to tell a story or create an experience is a huge part of the success of any truly innovative solution. If your project requires a material with special features, benefits or unique characteristics—we are at your service. Perfection is a process and we do whatever it takes to be certain your product clearly represents your brand. It’s a genuine love affair. We love making things people love. We operate our in-house mills and R&D centers with state-of-the-art tools and technology throughout every manufacturing process. We annually install factory upgrades and improvements to offer the latest advances in production, quality control and distribution capabilities. When it comes to durable, high-performance fiber, knit fabric and woven fabric technologies—we are leaders in the industry. Owning and operating specialized factories gives us better control of the final product and the ability to serve you better. We treat your brand as if it were our own. Over the years we have collaborated with global luxury brand partners who choose Unitex for their creations. Our quality is acknowledged through millions of users worldwide and guaranteed by certificates issued by prestigious international organizations. Respecting Mother Nature is cool. We operate with our planet in mind. As a global leader, Unitex is committed to environmentally responsible operations, including using natural resources wisely and considering our overall impact on the environment. We have evaluated renewable and alternative energy technology options at every major Unitex facility. Using wind power, solar, fuel cells, micro gas turbines and waste-to-energy methods where possible help reduce carbon emissions. It’s the natural thing to do. With multiple specialized categories, we continue to create sustainability profiles for selected items as part of our product life cycle management program. These profiles look at such criteria as the manufacturing processes used, the sustainability factors of raw materials and product disposal. We use these profiles as a benchmarking tool to assess areas for improvement. In stock and ready to ship. Our distribution centers are equipped to ship anywhere in the world. We routinely ship EDI-auto-replenishment to the world’s largest retailers and organizations working seamlessly with their integrated systems. If we don’t offer it, our partners do. Unitex has cultivated an extensive, reliable and proven network of suppliers and service providers that can deliver superior quality products—on time and on brand. We’ve built strong relationships with diverse talents and experts in the industry.